The foraging, feeding, and escape behaviors of members of four genera of oceanic ctenophores were studied by direct observation in the field during the summer of 1987 (7 July to 7 September) on R. V. “Oceanus” Cruise 191 to the Northern Sargasso and Slope water, in an area bounded by 34° to 39°N and 67° and 74°W. Patterns of water movement around these ctenophores were studied using fluorescein dye. Bolinopsis infundibulum forages vertically, capturing prey with mucus-covered oral lobes. Species of Ocyropsis forage horizontally and produce a reduced wake, due to the extreme compression of the body and the aboral location of the ctene rows. Prey are trapped by the muscular oral lobes and ingested by the prehensile mouth. In both genera, the auricles are held rigidly, and apparently are used both to reduce the pressure wave as they forage and to startle prey onto the surfaces of the oral lobes. Cestum veneris also forages horizontally, but continually reverses direction. Prey startled by the turbulent wake produced in the previous pass are captured by tentilla that stream over the sides of the body. All three species of Beroe studied swim in a spiral while foraging and produce similar wakes. Prey are ingested by the negative pressure produced by the rapid expansion of the mouth, and with the macrocilia that line the oral portion of the stomodaeum. 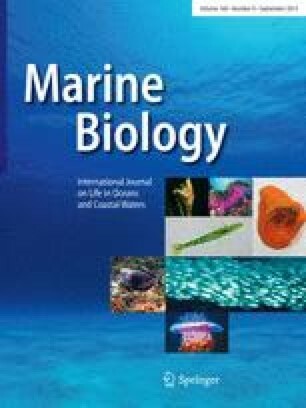 The escape behavior of species of Bolinopsis, Ocyropsis, and Cestum appears to function primarily to elude nonvisual predators such as Beroe spp. Species of Beroe bend and swim rapidly during the escape response, and will turn themselves inside-out when repeatedly stimulated. The types of prey captured depend in part on an interplay of foraging and feeding mechanisms.